First off thank you for your prayers. They have been answered in more ways than you know. We are blessed by those who support us financially and prayerfully. 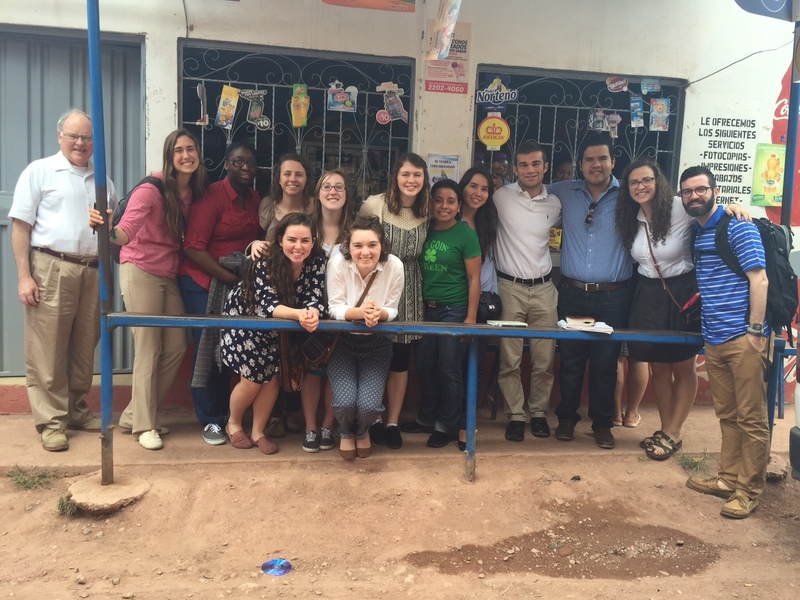 Our team as a whole is doing really well, The joy that is cultivated by this group of people is such a blessing. Their love for the Lord, each other, and for business is an encouragement to me everyday. Anyways, our last two days were crazy busy. We met with a variety of entrepreneurs from hairdressers and convenient store owners, to hardware store owners and physicians. While each business had its own unique identity and set of problems, we began to recognize a trend among the businesses. First off the businesses are usually not in a “business store” but rather in what looks like a home. It is because of the heavy gang activity that is present in Tegucigalpa. Most entrepreneurs have a fear of growing to large, or in a specific way because it will attract the attention of the gangs. Most choose to have their businesses in homes as a disguise so they’ll blend in. Additionally, the gangs cause trouble for the hiring process for most of our entrepreneurs. None of the entrepreneurs trust to hire outside their own families because of the fear that they may be either a gang member or desperate enough to embezzle money. Our team was saddened and frustrated at some of the personal stories of extortion and other injustices done to these entrepreneurs. We have grown up in a culture where the fear of growing was never an issue. Today, we worked hard on our presentations in preparation for tomorrow. We will have 30 entrepreneurs come in and listen to us present about Operations, Marketing, and Cost-Accounting. These three different groups assess what we believe to be the Honduran needs. Additionally, we will be incorporating the importance of the gospel that is shown through these business principles. Helping these entrepreneurs understand that head knowledge is useful, but without the gospel behind it, lacks any kind of substance worth having. We have a big day ahead of us, and we have been working all day on these presentations. Pray for us these next two days as we will be sharing business principles with entrepreneurs. Meeting with Elizabeth(green shirt), one of the entrepreneurs that works with partners worldwide. I just prayed for all your prayer requests and additionally that all of you stay purposely conscious of Christ as you know the evil one is anxious to derail your good works. Love to you all. Thank you for your bravery.